​Chee-Hang See is a prize winning pianist who has been called "a cool and confident performer" by the Charleston City Paper. After an appearance at the Piccolo Spoleto Festival, Charleston Today.net wrote that "he displayed absolute clarity and through his refined dynamic range brought gorgeous contrasts to each section". 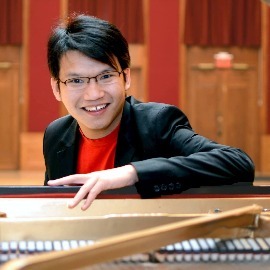 He has appeared with the Cleveland Institute of Music Orchestra, Chamber Music Charleston, the Charleston Symphony Orchestra, the Hilton Head Symphony Orchestra Youth Concerto Competition, the Bela Bartok Orchestra in Italy, and has been soloist, orchestra and chamber pianist in his native Singapore.